Although Term 3 is our shortest term this has not stopped us supporting our community. Earlier in the term we were visited by Elephant Stay, our Year 1 community partners. They kindly shared their passion and enthusiasm for protecting elephants and explained why this is so important. 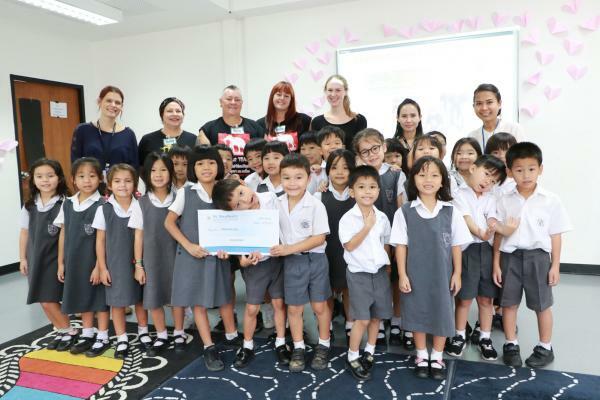 During this visit we proudly presented them a cheque for 20,000 baht, money which Year 1 students raised by participating in last term’s Walkathon. In addition to this, we recently held our annual Reduce Reuse Recycle event. This event has many elements but all are focused on raising awareness of the importance of becoming more sustainable. 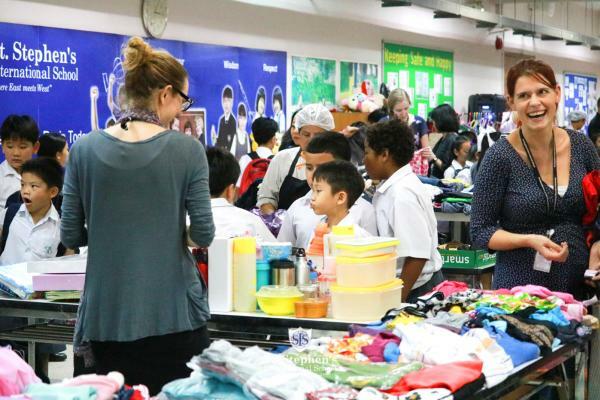 The community Swap Shop was as popular as ever. Thank you to everyone who donated their pre-loved items or shopped on the day. 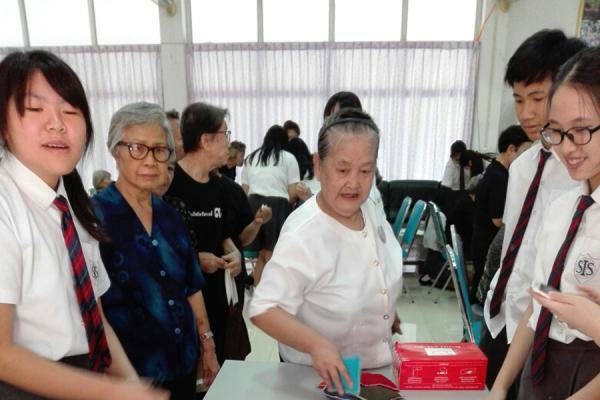 The leftover items are being donated to Second Chance Bangkok, an organisation that makes goods accessible and affordable to less fortunate Klong Toey residents. They also have an exciting upcycling facility where they make bags and giftware out of donations. 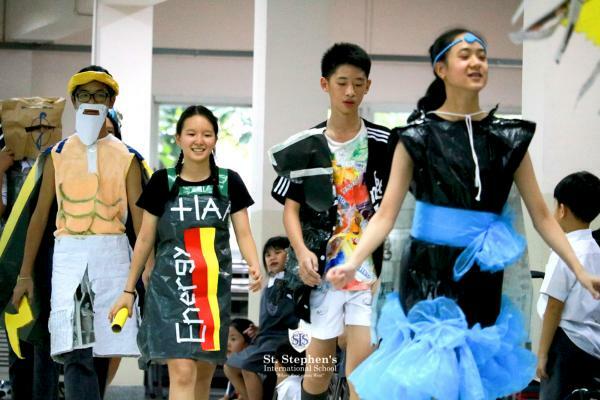 Although fundraising is not the primary aim of the Reduce Reuse Recycle event, we are proud to report that we raised 12,550 baht which will be added to our community service fund ready to support more of our community partners in the near future. 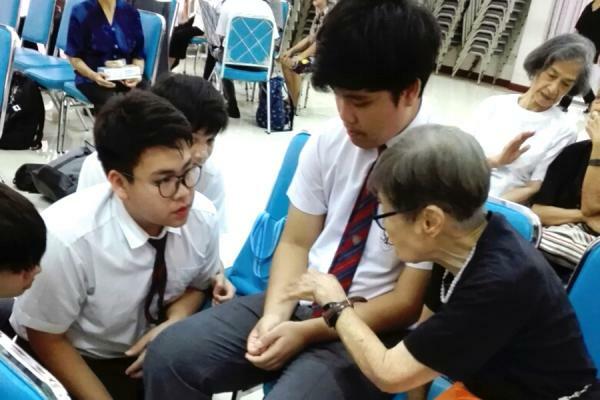 Year 10 recently visited Bang Khae Elderly Care Home. They were accompanied by the Music Department and students put on a show for the residents. One person commented that the Year 10 students had been a ‘credit to the school’ and this is evidence of how well received they were. Looking forward to the remainder of the year, we continue our community service projects. Years 11, 12 and 13, as part of their annual Khao Yai trip, will be visiting the Bang Tham Pakom Pho Klang Elderly Care Centre. They will be donating adult diapers bought using our community service funds and also playing games and putting on a performance for the residents. Perhaps most importantly, our students will simply listen to the residents and provide companionship for a short time. On 26th June a small number of students will be visiting the Foundation for the Welfare of the Crippled. This trip has been organised by, and will be led by, our Head Girl and I am sure will be successful, given her past experience of working alongside The Blind School, another of our community partners. We thank you for your continued support of St. Stephen’s. We are proud of the community to which we belong.